My kids sure to love games! What about your child? We really like family game night and they like to play games throughout the day too. The Concentration Memory Match Game has been a favorite of my kiddos for quite awhile and it is a great brain boosting game. There are so many choices of memory games now…characters, seasonal ones, animal ones…all kinds of memory games! 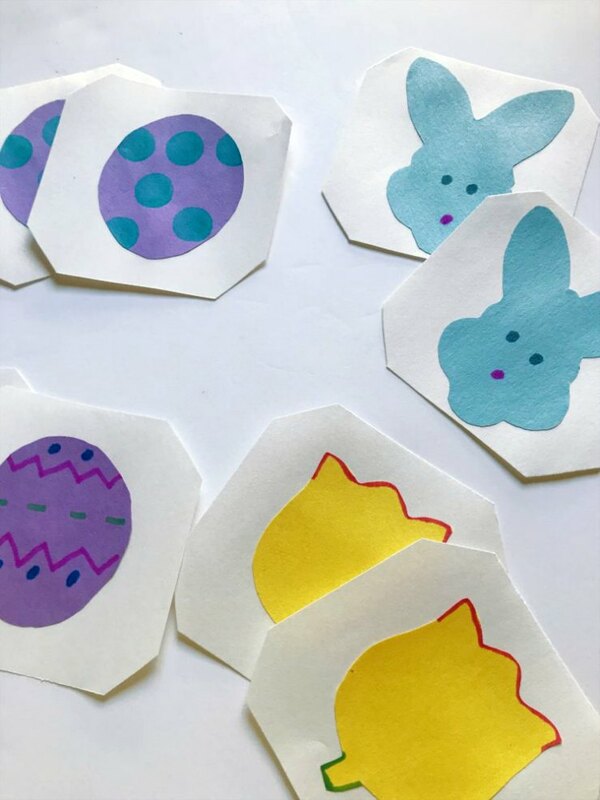 This Concentration Memory Match Game is a great Easter craft project and it was super easy to make. It’s an extra special memory game kids will love since they get to make it themselves! 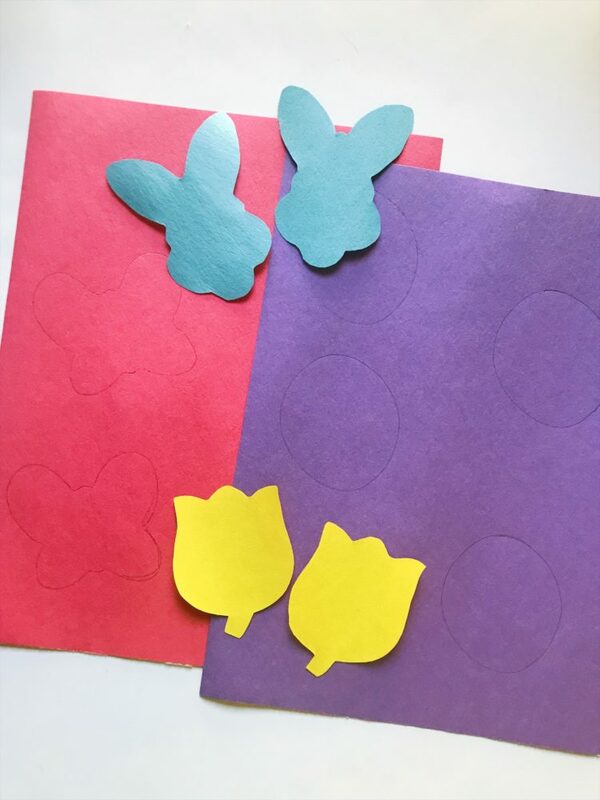 I bet you have everything you need to make this Easter kids matching memory game. Gather your supplies and head to the table. 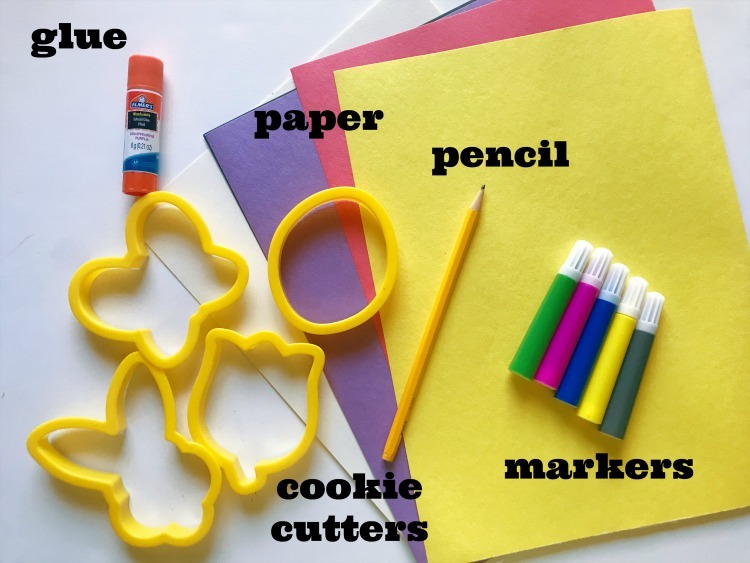 The cookie cutters are completely optional. You can absolutely free hand your Easter shapes but I happened to have some Easter cookie cutters that I traced around! So if you don’t have Easter cookie cutters, don’t worry! But having cookie cutters does help with uniformity which is important in a game like memory. I laid my cookie cutters down and traced around them. I used various colors of paper. Your white paper is going to be the card part so make sure you aren’t drawing/tracing your shapes on those pieces. After you have traced your shapes, cut them out. The next step is decorating them. Your child can help with this part! We used markers and dot markers to decorate our Easter shapes. After the shapes are decorated, grab your white paper and cut some squares out for the card part. Now the shapes can be glued down onto the white squares. A glue stick works best for this part. After they’re glued down, it’s time to play concentration memory match game! The older the children, the more memory match game cards you will want to make to keep it challenging. How fun! Shuffle the memory match game cards. Lay all of the concentration memory match game cards face down and equally spaced out. Each player can take turns flipping two face cards face up. If the cards match, they keep the pair and they may flip two additional cards. If the cards do not match, the cards must be flipped back over. This game encourages the players to pay attention and remember what cards have previously been flipped. Once all the pairs have been collected, the player with the most pairs wins. Do you think your child would like playing this memory game for kids? Have you ever made a game before? 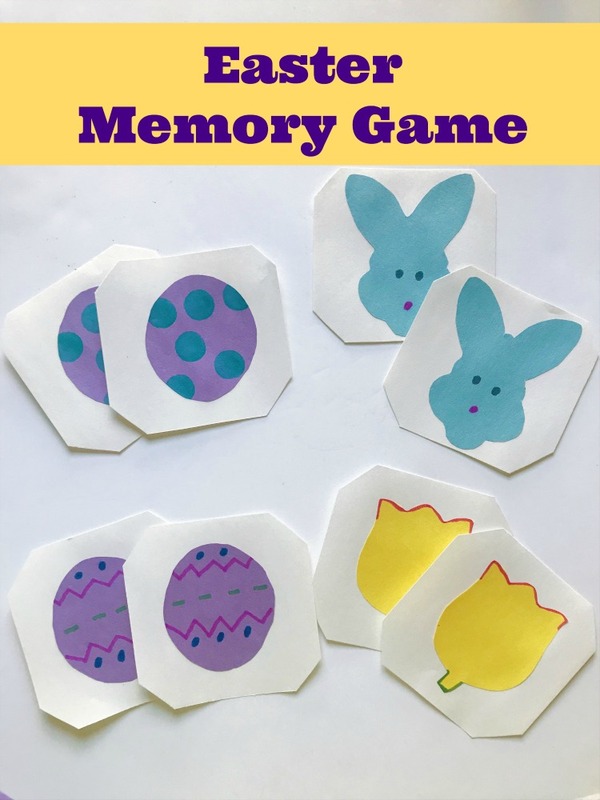 This Easter craft project Match Memory Game is a great one to try out! Tag us in your craft or game pics @familyfocusblog or #familyfocusblog!